Neither side has made any concessions but both agreed to more meetings. Houston Mayor Sylvester Turner, center, at the far end of the table, along with City Attorney Ron Lewis and Fire Chief Samuel Peña, was facing fire union President Marty Lancton, second from right, and attorney Troy Blakeney at a City Hall office on Wednesday, Jan. 16, 2019. 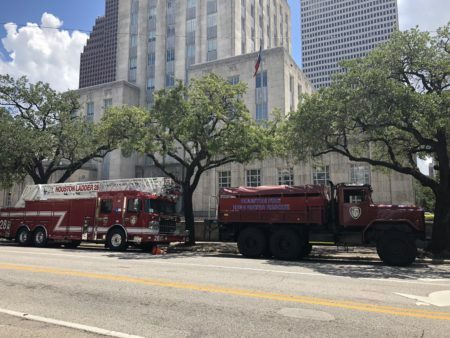 In the ongoing fight over pay parity with police, Houston’s firefighters union and Mayor Sylvester Turner seem closer to an agreement after a meeting in a public setting at City Hall Wednesday. The meeting came about after Turner invited firefighters union president Marty Lancton to discuss the implementation of Proposition B. The referendum passed in November and obligates the city to pay firefighters as much as police officers of similar ranks. 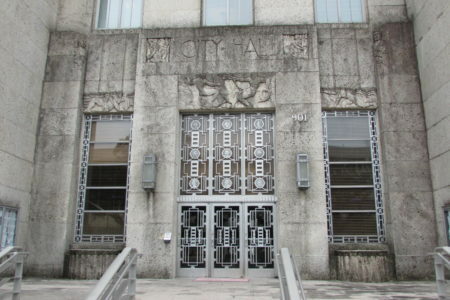 But amidst a lawsuit by the Houston Police Officers’ Union, firefighters still haven’t gotten a raise. 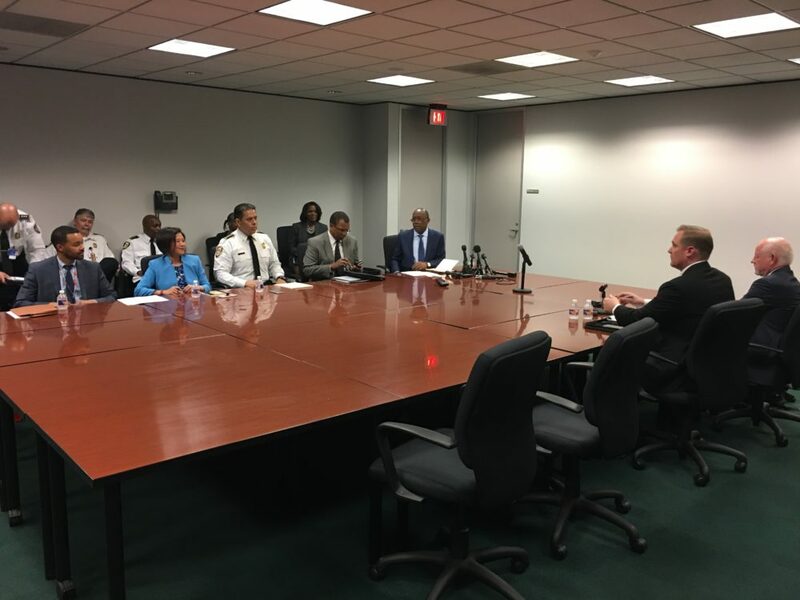 In the meeting, Turner offered to spread the raises out over several years to avoid an immediate $100 million shortfall for the city, which he says would lead to layoffs. Firefighters union attorney Troy Blakeney said it’s a start but he wouldn’t agree to anything at this point. “Until they bring specifics, it’s impossible to take information back to 4,000 fighters and have an intelligent discussion about what the options are,” he said. Both sides agreed to have more meetings to talk about details.